Observation notes: Hot day. 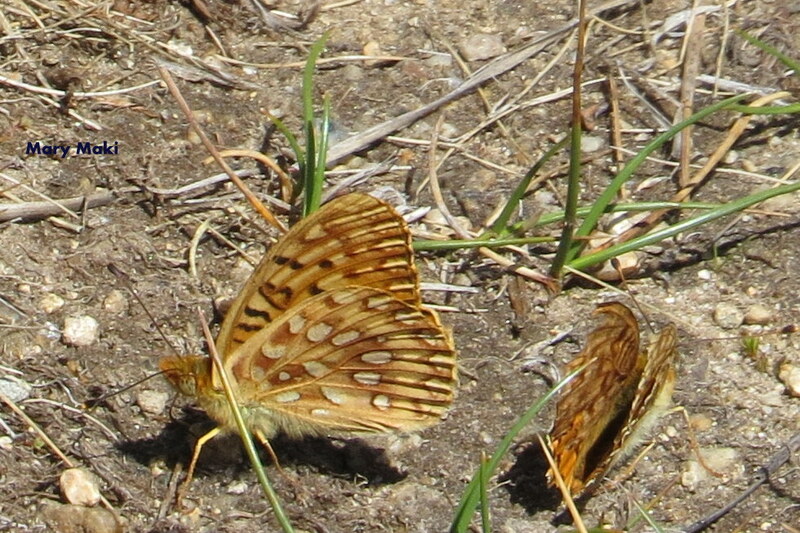 Over hundred fritillarys observed in meadows along John Muir trail between Tuluoumne Meadows and Ireland Lake trail turn off in Lyell Canyon. 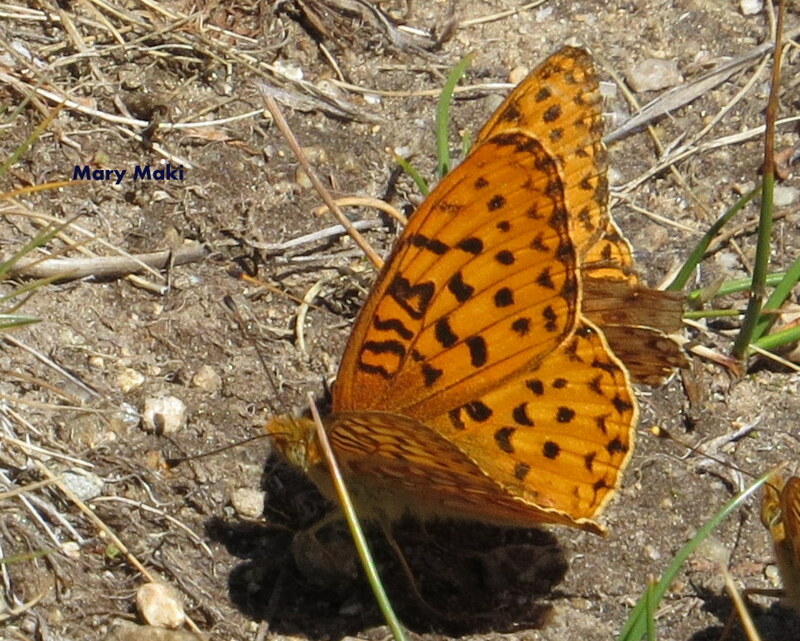 Above fritillary landed in damp area by creek, with several other butterflies.